Have you been to cSPACE King Edward? 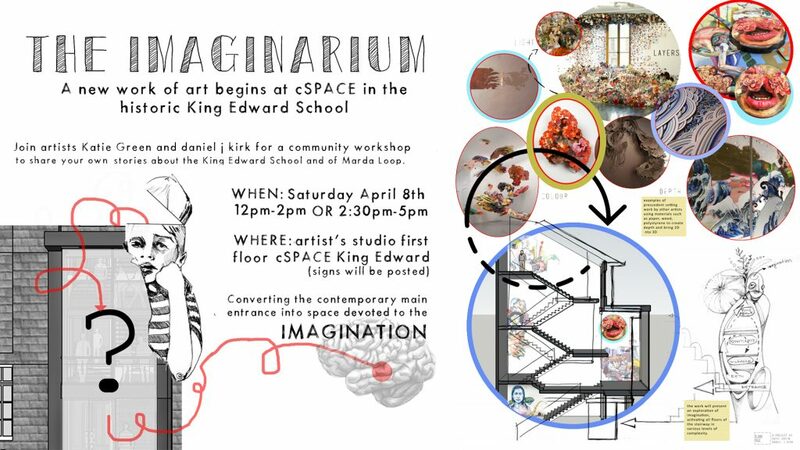 You’re on the website so we know you’ve heard of it and by now you probably know that cSPACE King Edward is the reimagining of a century old sandstone school located near Marda Loop. Now an arts hub, innovative venue and coworking space for Calgary to experiment, explore and spark change. But have you wondered what actually goes on here? Or better yet have you experienced it for yourself? We’ve received a few common questions since (softly) opening our doors in January when our tenants began to move in and the halls started to come alive with the activity, events, and collaboration we imagined when we set out on the journey of turning an old derelict school into a hive of arts, culture, and creativity. Questions ranging from who can go there? Do you have space available for rent? How do we get there? And what’s the best time to visit? So we’ve devoted today’s blog to shedding some light on those common questions. cSPACE King Edward is located at 1721 29 Ave SW, Calgary, AB and is accessible by bike, bus, car, or on foot. We’re big fans of biking, walking and taking public transit to reduce environmental footprint and get out in the community. The South Calgary community is super walkable and Calgary Transit’s number 6, 7 and 107 bus routes will get you within a few blocks. There is a surface parking lot located off 29th avenue as well as on-street parking, and if you choose to drive, carpooling is encouraged: there are even special parking spots just for carpoolers. And, of course, we’re in a Car2Go home area as well. 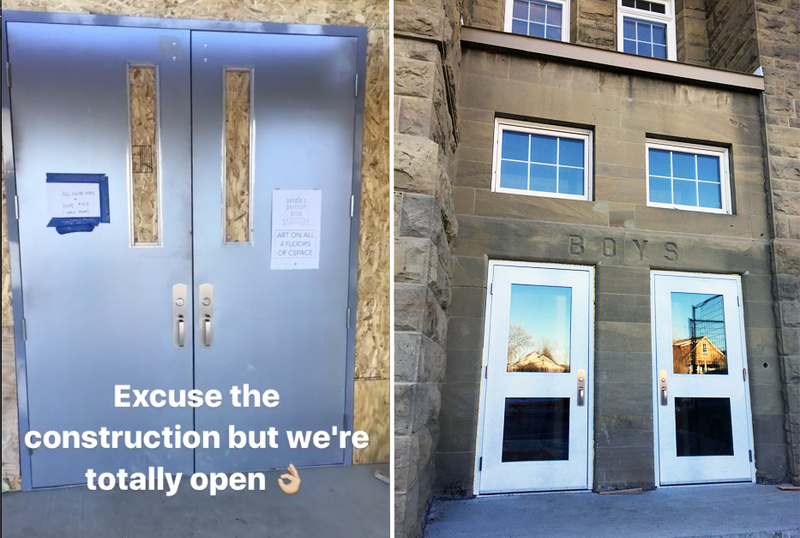 You can enter through the Historic Grand Entrance on the south side of the building, through the Contemporary Main Entrance or the old ‘Boys Entrance’ on the north side of the building. Please excuse the construction, we’re still finishing a few features as well as the new West Wing which will include the Studio Theatre and Cowork space which will be opening Fall 2017. We also have an onsite coffee kiosk opening in the late summer/early fall so stay tuned for that announcement coming up! Often the halls are decked with photos, paintings, portraits, landscapes, sculptures and everything in between. 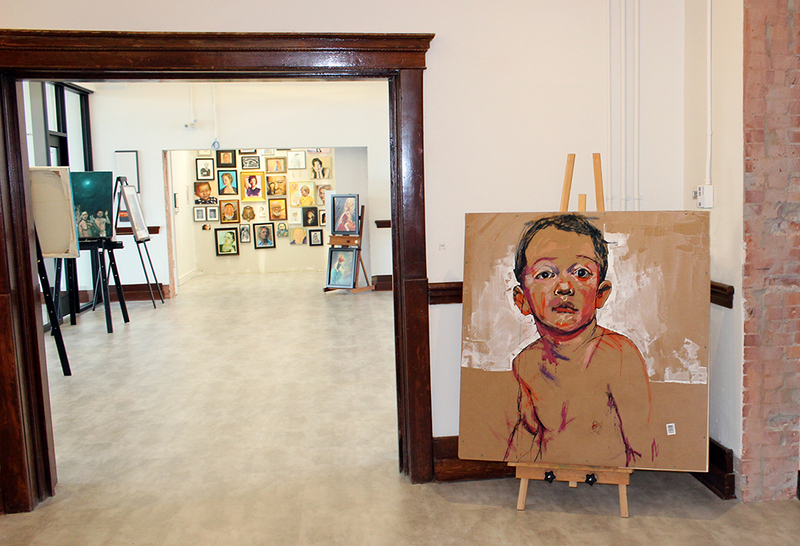 We frequently host artist exhibitions, show and sales and events that you are more than welcome and enthusiastically encourage to attend and enjoy. Pop by, take a look, enjoy the art and don’t hesitate to snap some pics to share on social! Remember to tag us @cspacekingedward and use the hashtag #cSPACEKingEdward. cSPACE King Edward is open Monday to Saturday from 8 a.m. to 8 p.m. and closed on Sunday. The best times to come are when there is an awesome event, exhibition or programming underway. Stay tuned to our Events page or sign up for our e-newsletter to keep up to date on what exhibitions and events are on deck or around the corner and never miss a thing. A great opportunity to pop in would be this Saturday, April 8 between 12-2pm or 2:30-5pm to meet artists Katie Green and daniel j kirk. They’re hosting a Community Creativity Workshop and asking people to drop in and share stories about the King Edward School and Marda Loop area or participate in in imagination engaging drawing exercises. No materials or experience required, just a casual, creative chance to be a part of the art, enjoy a few refreshments and engage your imagination! All four floors of the building are home to our creative community of tenants and many of them have their doors open throughout the day so you can peek in and say hello. 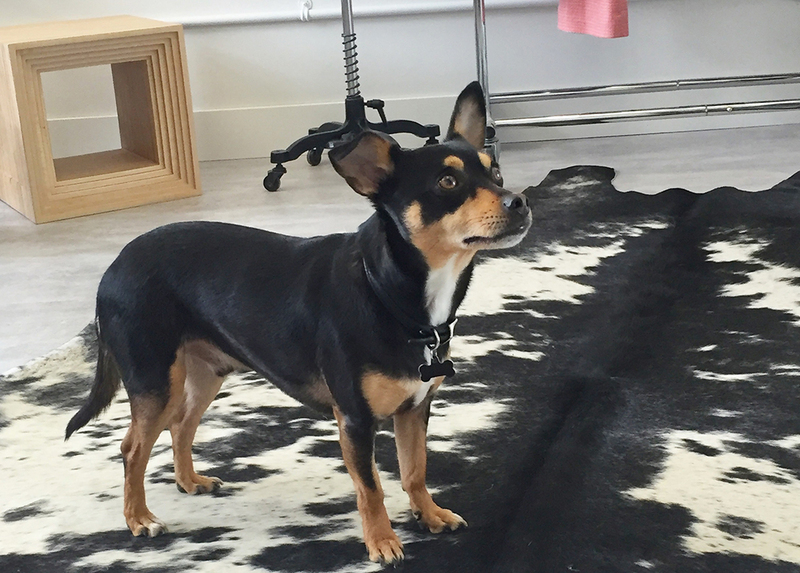 You may even be greeted by a furry four-legged friend as several of the artists, designers and tenants have friendly, approved ‘studio dogs’ in tow. Many of our creative community tenants are super passionate about sharing their skills and interests with the community and regularly host workshops, classes, drop-in lectures or art sessions and everything in between. We regularly post about our tenant’s upcoming classes and events on Facebook and Instagram but we encourage you to stay tuned to their social channels as well! Here are a few common questions we get but if you still have a question or inquiry feel free to reach out to us directly at info@cspaceprojects.com and we’d be more than happy to assist! 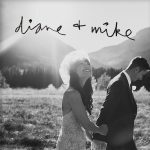 How can I book an event or exhibition? You can make a booking inquiry using our Booking Request Form or by emailing info@cspaceprojects.com, Subject: Event Booking. We’re currently fully leased until 2018 but have started a waitlist of applications for future tenants. 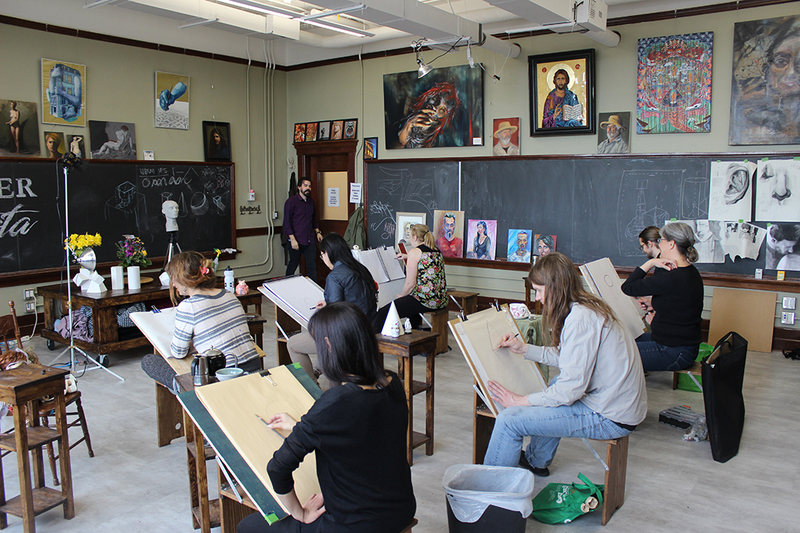 Please complete the Become a Member Waitlist Application to express your interest and provide us with the pertinent details about your practice and studio needs. Usually, yes! Especially if you’re going to share on social media! From time to time, some specific exhibits may have photography restrictions but things like that would be posted on signage at the time. Just remember when you’re taking pictures of people’s artwork you shouldn’t use your flash, and you should always credit the artist and title of the work if posting on your social feed or anywhere else online. Can I poke my head in people’s studios? Many of the tenants on the first and second floors have studios/shops where you can pop in and peruse or make an appointment with them to shop privately. A good rule of thumb is, if the door is open, taking a peek and saying hello is probably more than welcome. But if the door is closed, it’s either because no one is home or they’re working to a deadline and need some quiet time! When is the Theatre & Event space opening and what kind of events can be held there? The brand new west wing that will be home to our Studio Theatre and Event Space is currently under construction and on track to open early this fall (2017). The beautiful and highly adaptable space is purpose-built to convert from a double-storey, light-filled hall, perfect for galas, receptions, banquets, markets, art exhibitions and weddings, to a fully darkened, technically sophisticated theatre for dance, music, literary and other cross-disciplinary performances, rehearsals, and screenings. Stay tuned over the coming months as we begin bookings for the fall and winter season. 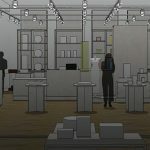 When is the cowork space opening and when can we start signing up for a spot? The cowork space and meetings spaces will be opening early this fall (2017) and we plan to start accepting co-work applications this summer. Join the e-newsletter and follow us on social to be the first-in-the-know when we announce the packages and open application!